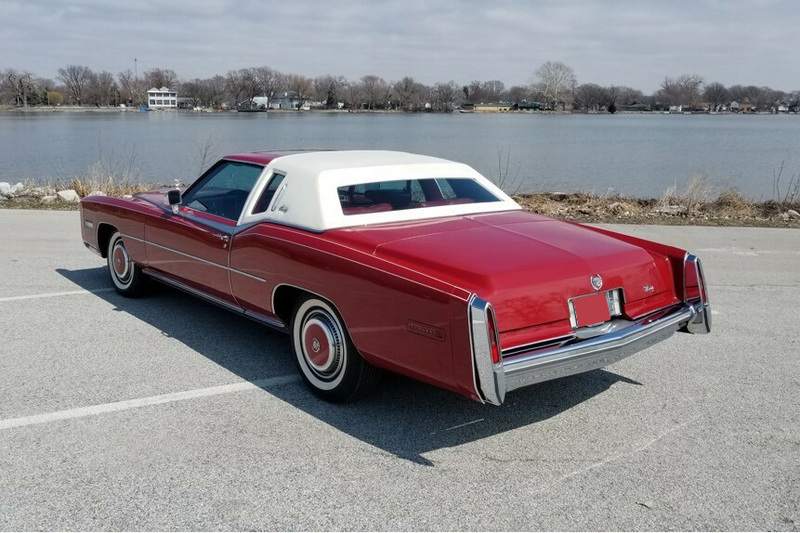 With 790 original miles (the title reads mileage exempt), this limited-production Biarritz model has remained in one family since new. 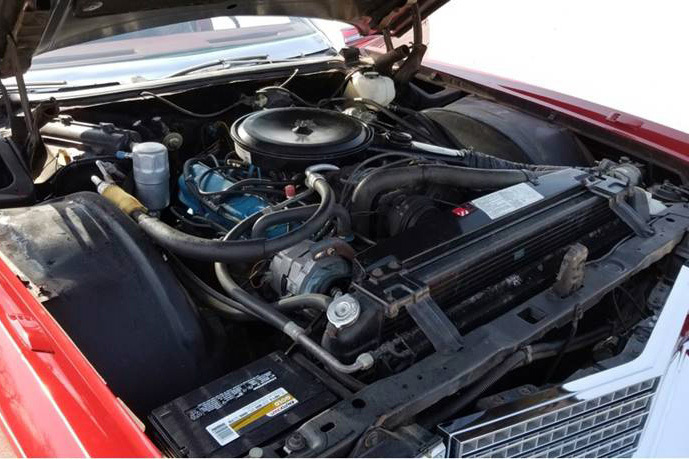 The car is powered by a 425ci V8 engine coupled to a 3-speed automatic transmission. 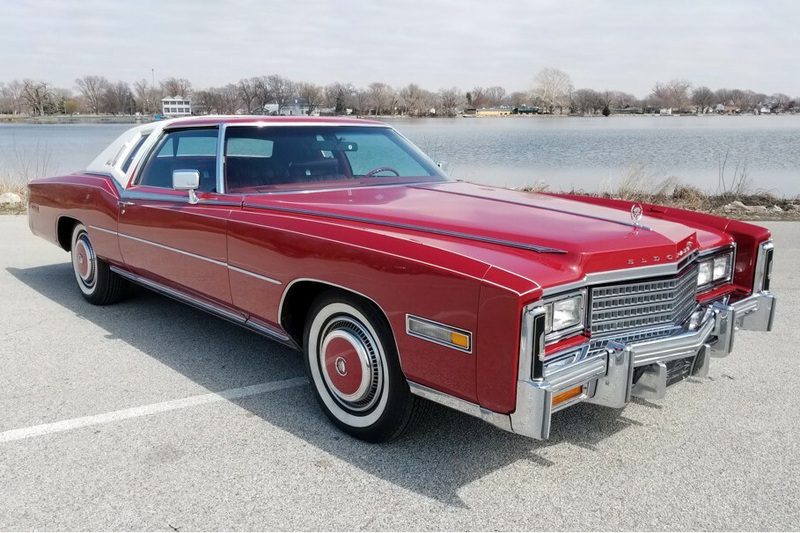 Combined with a pillow-top interior, this Cadillac features nearly every premium option available in the 1978 Eldorado. 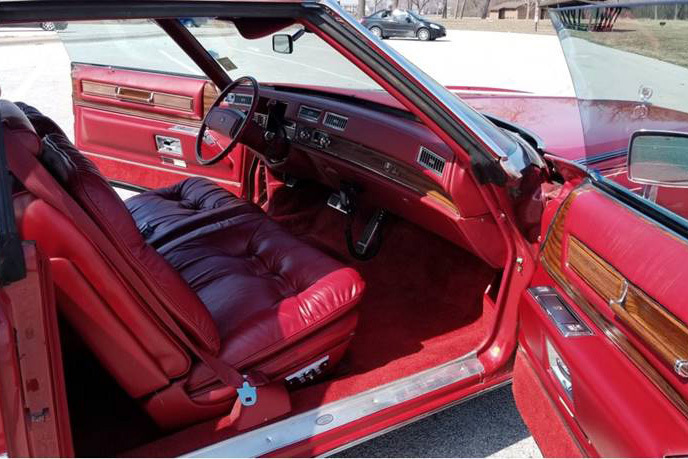 Optional features include a reclining power passenger 50/50 seat with 6-way power adjuster, door edge guards, tilt and telescopic steering wheel, rear window defogger, cruise control, Guide-Matic headlamp control, illuminated passenger vanity mirror, illuminated thermometer, trumpet horn, AM/FM stereo radio with 8-track player and a factory-installed Citizens Bank radio. Standard features include automatic climate control, steel-belted radial whitewall tires, stowaway spare tire, Soft Ray glass, power door locks, 6-way driver power seat adjuster, high-energy ignition, digital clock, electronic level control, lamp monitors, cornering lights, power windows, 4-wheel disc brakes, front-wheel drive, controlled-cycle wiper system, right- and left-hand remote control mirrors, Twilight Sentinel illuminated entry system and power trunk lid release. Also added as a factory option from Cadillac was the Astro Roof installed by the American Sunroof Corporation.